Where Have You Gone, Benjamin Butler? I’ve caught bits and pieces of the Museum of the Confederacy’s “Person of the Year: 1862” symposium on CSPAN-3. It’s an entertaining event for the children of the Civil War Centennial. The historians in charge of nominating this year include Robert K. Krick, David Blight, James McPherson, Jack Mountcastle, and Emory Thomas. The historians selected are all familiar to the audience and their selections, for the most part, are predictable. Can anyone imagine Krick selecting anyone else but Jackson or anyone but Lee for Thomas? Blight chose Frederick Douglass, which is not surprising. McPherson’s choice of Farragut may be the only one that couldn’t be predicted. I don’t know what to make of Mountcastle’s choice of McClellan since I am not familiar with his scholarship. There is nothing wrong with their selections since this is clearly not a question that has a final answer. There is also nothing necessarily wrong with the selection of historians. All of them are well respected scholars. That said, I do have a few suggestions for next year. Get a panel of younger historians, whose choices may not be so predictable. Not only are you likely to get a different short list of nominees, but the Q&A will also be an opportunity to explore new terrain rather than rehash the same tired stories. You have to include at least one woman and an African American. In short, perspective is everything when it comes to these kinds of events. This might be a better ‘honorable mention’ pick, but how about Alexander Gardner? That’s a great choice, Terry. Now my nomination, I’m going waaayyyy out of the box here…Ambrose Powell Hill. What!? Yes, here is my quick and dirty 6th-degrees of Kevin Bacon argument: A.P. Hill orders one of the most amazing quick-step marches from Harpers Ferry to Sharpsburg, arriving in the ’11th hour’ of the Battle of Antietam, ultimately saving Lee’s Army of Northern Virginia from destruction and forcing a tactical ‘stalemate’.’ The repercussions of the outcome of the Battle of Antietam ultimately influence President Abraham Lincoln to issue the Emancipation Proclamation. A.P. Hill’s actions at Sharpsburg therefore affected BOTH sides of the conflict tremendously. Yeah I know it’s a stretch, but definitely an unpredictable nominee. The usual suspects pick the usual suspects. Lucy Nichols, an extraordinary black women I mention in my book and about whom I have written an essay. She was a nurse with the 23rd Indiana. The unknown common soldier of the Civil war, buried in a trench somewhere, if lucky, know, by name, only to God. Excellent choices. I was fascinated by the story of Lucy Nichols that you shared in Richmond back in October. I think it’s hard to beat Lee as a candidate for most influential in directing the general course of things. His successes (and one notable lack thereof) helped ensure the war would be long enough to take a more radical turn toward emancipation. Of course, Lincoln was ultimately responsible for that turn, but it seems too easy to name Lincoln as “most influential” for every darned year of the war. Save him for ’63, maybe. Or here’s another idea: Lord Palmerston, for deciding not to recognize the Confederacy. I would have two nominees. The artillerist whose shell fragment struck Joe Johnston and the infantryman whose musket shot hit Johnston. They likely prolonged the war by at least two years. I would reverse Butler for 1864. I will show my true colors and suggest: Zebulon Baird Vance. In my mind, it is hard to argue with the choice of Lee for 1862 and their previous choice of Lincoln for 1861. But jumping ahead, what about 1863, 1864 and 1865? Assuming for the sake of diversity that Lincoln and Lee are not eligible in those years, who would others chose? Maybe Grant in one of those years – but which one specifically and why? How about JW Booth for 1865 – man of the year doesn’t have to be somebody “good” (as I recall, Hitler was Time’s MotY one year in the 30’s). If one definition of “Man of the the Year” is the person who most influenced the times and changed the course of history, then it might be hard to argue against the choice of JW Booth for 1865. Too bad they didn’t have an exit poll so we could have seen the demographic cross tabs on the vote…oh wait, it was white 100 percent. In true Time fashion, it should have been The Contraban. Butler’s Contraband ruling was huge. It gave the opening to Lincoln for the EP. good choice .I was surprised Grant didn’t get a nomination. His “No terms except immediate and unconditional surrender” message electrified the North and set a tone for the war. That being said I have no problem with Lee being picked. He did have a very good 1862 and of the nominees he was really a no-brainer his successes really established the way the CSA saw itself the seed for the Lost Cause after the war. What got me was Emory defending slavery with one of the worst but typical of the Neo-Con, comparisons I have heard or seen. He said to a Black woman caller who identified herself as descended from Slaves when questioning his nomination of Lee. Emory said if the South has attached guilt from Slavery then everybody in America is guilty of the Abu Ghraib abuse . While both Slavery and the “war crime’ Emory kept terming it are indeed blots on our record. The logic failes when one considers the South embraced slavery to the point of a war to protect it while with Abu Ghraib the nation was horrified and those who did it were Court Martialed and imprisoned. Of course Emory was trying to absolve the CSA and Lee from slavery and with the woman equating Lee to the Nazies so an absurd example was needed. He made this point twice, once while talking to the caller and then again during the wrap up. No other callers were taken for him to be challenged on that analogy so I’m sure he feels he carried the point, that clearly we aren’t all guilty for Abu Ghraib so clearly all the South wasn’t guilty for slavery and thus I gather that slavery wasn’t the base cause of the war. It’s the logic I find is common for the SCV and other Neo-Confederates one encounters on ACW forums and blogs. I did not see the interview or hear these comments, but I would suggest reading his biography of Lee as well as The Confederate Nation: 1861-1865. It was the last call taken and he again made the point as his nominee Lee won and he got to give an acceptance speech. It was all in the last ten minutes of the broadcast. When I was watching the six hour long program, cspan actually showed one of Kevin’s tweets along with several others. I had to laugh when you listed Butler. I would like to hear your reason and I think I can guess them. He was kind of a genius at public relations. But please don’t tell me you chose him because of his military skills or accomplishments! These are all compelling choices. For 1862, I have to go with Abraham Lincoln. The most fascinating thing to me about Lincoln that year is all of the legislation he signed into law that most people think had little to do with the war. In fact, 1862 was the year that the Republicans really charted the course for the future of the country and determined what the nation would be after the war ended: the Homestead Act, the Pacific Railway Act, the Morrill Act (creation of land grant colleges), and the Preliminary Emancipation Proclamation. The absence of Southern opposition in Congress allowed the Republicans and Lincoln to finally move ahead with legislation they had long favored but couldn’t pass. These bills reflected the party’s Whig origins but also its forward thinking on issues of commerce, education, equality, etc. The year 1862 was of major importance for America’s future, even in issues such as these that many people erroneously think had little or nothing to do with Northern prosecution of the war. Lee is the easy choice and that’s probably who I would pick. Even though he didn’t come on the stage until June, he completely influenced the course of events in the Eastern Theater for the rest of the year. Had Jackson been as brilliant on the Peninsula as he had been in the Valley, I could see an argument for him. I could definitely see McClellan from a Union perspective, even considering his blundering during the Peninsula Campaign – that was still his campaign, and he was the big story up until late June. 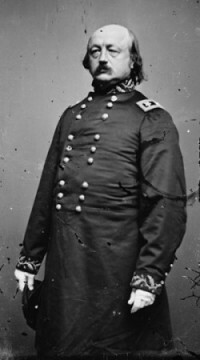 Then his “re-instatement” in September and his subsequent defeat of Lee at Antietam. He was a very well known and visible figure in the war at that point. I think Butler would be a decent choice, but I would argue that his impact on the fugitive slave act’s relevance or legitimacy was more visible in 1861 at Hampton Roads than in New Orleans. 1863 – Grant – IMO its not even close considering his enormous success at Vicksburg and coupled with the capture of Chattanooga that fall. 1864 – Sherman or Lincoln considering Atlanta and the march to the sea and Lincoln’s reelection. 1865 – ? – it would be Lincoln but his assasination might preclude him from consideration. My general choice is Henry Halleck. Old Brains may not have been great stuff on the battle field but he knew enough to bring order to the West as well as getting effective work out of the Army Buraeu system. He also laid the groundwork for what would become an efficient chief of staff for when Grant tookover in 1864. Honorable mention: William Rosecrans. Forced the Confederates out of central Tennessee with success at Stones River. As for a panel member? I would vote for Peter Carmichael. Yes, he’s male and white but I think he is the best of the new breed.